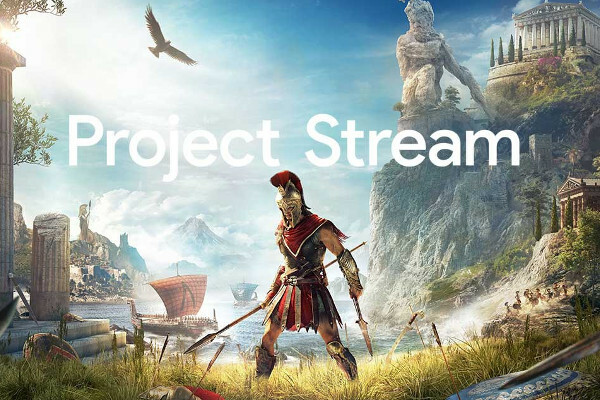 Google Project Stream announced, Lets you play Assassin's Creed Odyssey on your Chrome browser. Project Stream is your chance to participate in an exclusive Google technology test. Through Project Stream, you will have limited time access to the brand new game, Assassin's Creed Odyssey, and have the ability to stream the game to a supported Chrome browser on a laptop or desktop. For a chance to join Project Stream, follow the steps listed below. Make sure that you're 17 or older, live in the U.S., and meet these requirements. 2. Type in your email address and zip code. 5. Sit tight and wait for a chance to be invited! ​Not compatible with Google for Work, Google for Education, and certain other managed Google accounts. Project Stream supports wired USB controllers for gameplay.